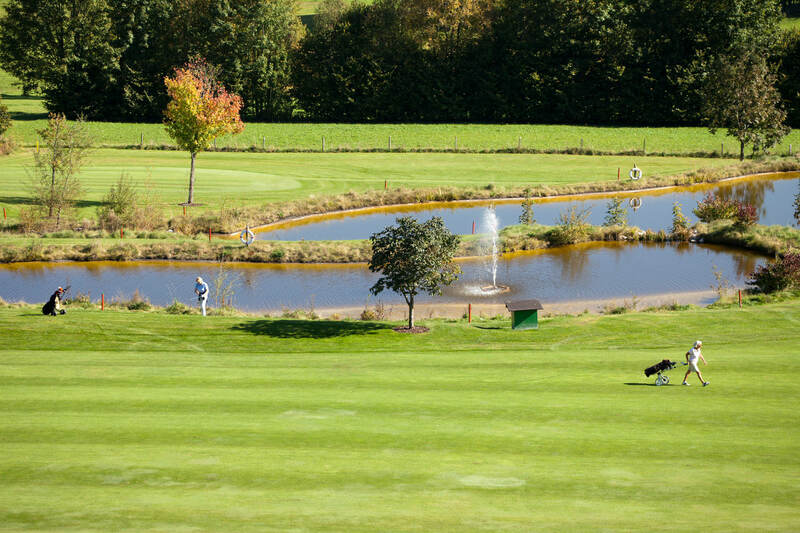 Golfing in the Kaiserwinkl region is a real treat! Beautiful views of a unique landscape await all golf enthusiasts visiting this part of the country. Three superb golf courses are at your disposal near the hotel, where you can work on your handicap whilst enjoying a view of the Kaiser Mountains. 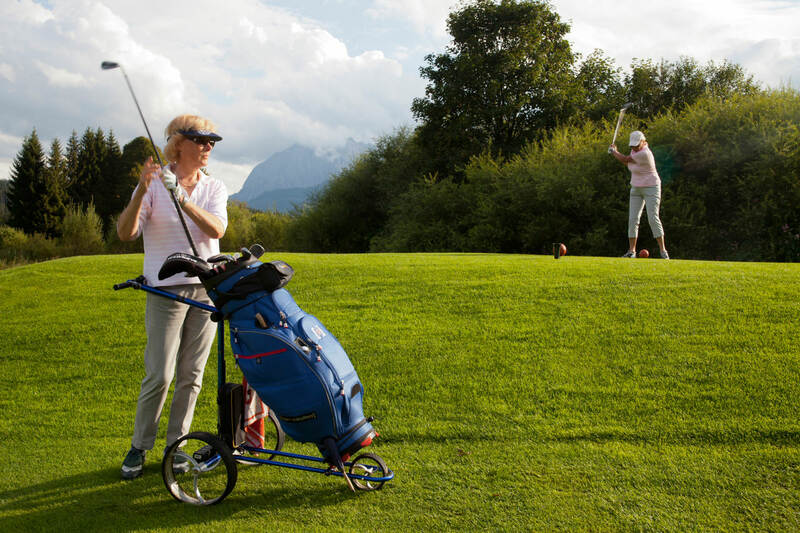 The 18-hole golf course “Reit im Winkl – Koessen” is situated against the backdrop of the impressive rugged landscape formed by the Wilder Kaiser mountain range. 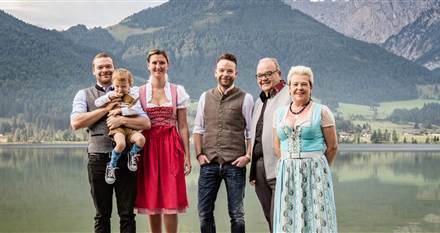 It is the first golf course in Europe to offer “cross-border golfing”, as it begins in Tyrol, continues into Bavaria, and then continues back into Austria a few holes later. This excellently laid-out and well-maintained 18-hole golf course was designed by famous British golf course architect Donald Harradine. This course makes golfing in Tyrol a unique experience and has long been one of the favourite courses among golf pros from all corners of the world. The “Walchsee Moarhof” golf course is located near Lake Walchsee and is surrounded by a natural reserve, as well as a high moor. With 9 holes, it is suited to both advanced players, as well as beginners looking to hit their first tees in a peaceful practice area.